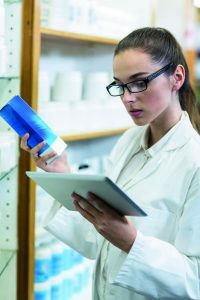 WCPPE are accredited by City and Guilds to deliver the Level 2 NVQ Certificate in Pharmacy Service Skills (QCF) and Level 3 NVQ Diploma in Pharmacy Service Skills (QCF). We work with candidates in both the managed sector and in community pharmacies across Wales. The assessment team managing delivery of the NVQs have diverse backgrounds and extensive pharmacy practice experience. Many staff are current practitioners across a range of sectors. We offer a range of delivery models and will work with organisations to identify the most suitable model, based on the capacity and resources available to support a candidate. WCPPE support candidates via regular visits to their workplace, facilitated training sessions, access to an online forum and signposting to appropriate resources, information and news. WCPPE is a contracted Training Provider delivering Apprenticeships across Wales. Modern Apprenticeship funding may be available, subject to funding criteria.